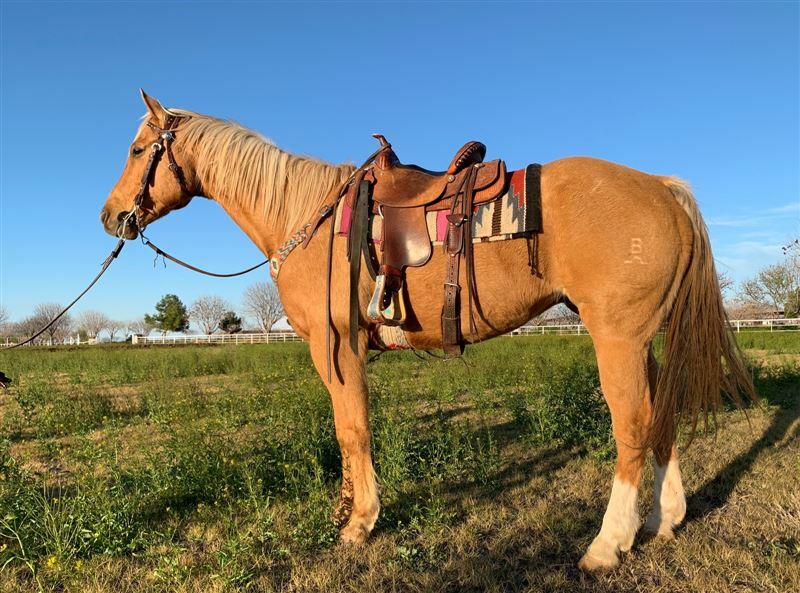 This beautiful, kind gelding is ready to hit the jackpot road! Goldwing has been on the ranch mostly until I started him on barrels last fall and brought him to Arizona for the winter. 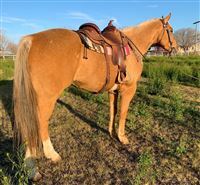 He’s been super trainable and loves the barrels and is a great dark palomino! With limited hauling he has won several checks. This week at Welcome Home he placed third in the 2D, and was 11th overall out of 60 entries. He has lots of potential and is the nicest, quietest gentle horse. I think anyone could get along with this handsome gelding. Also been roped on. Sound and sane. He will be in Arizona until the end of March then back in South Dakota.